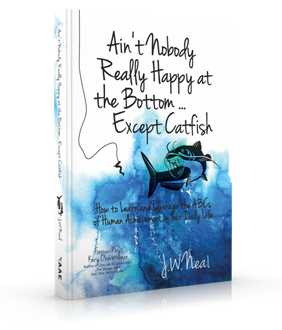 After many years of coaching and being coached, teaching and being taught, selling and being sold the book: "Ain't Nobody Really Happy at the Bottom...Except Catfish" was born deep within my soul as a how to book to rise above the status quo and "just getting" by mentality that seems to infect so many in today’s society. In the 40 years of assisting sales professionals, Jim found three key concepts that were constant in the high achievers lives and has attempted to share them in his book. 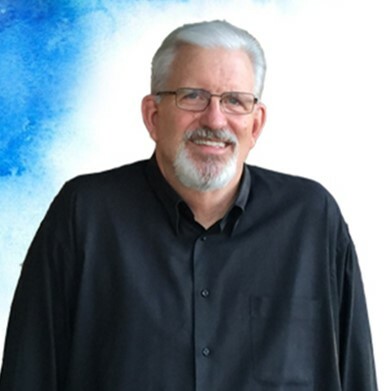 Jim holds two college degrees one in Business Administration and another in Biblical Studies. He is married to his high school sweetheart, Patti and they have 4 children, 9 grand-children and 3 great grand-children.